After 40 years with UW CEE, professor Charles Roeder is hanging up his hard hat. He officially retires at the end of the year. During his career, Roeder was passionate about improving the resiliency of steel structures, making them not only safer during natural hazards, but more economical to build. Much of his research has had practical applications for the practicing structural engineering community. Roeder joined the department faculty in 1977. He first became interested in engineering while working in construction prior to serving in the U.S. Army. Following military service, Roeder earned a bachelor’s degree in civil engineering at the University of Colorado, Boulder, a master’s degree at University of Illinois, Urbana-Champaign and a Ph.D. at the University of California, Berkeley. While earning his Ph.D., Roeder authored the first article on eccentrically braced frames, titled “Eccentrically braced steel frames for earthquakes.” The paper was the first work published on the topic in the United States and won the J. James R. Croes Medal in 1978. The article proposed a unique structural steel system design that combines diagonal bracing with flexible beam and column connections, resulting in an extremely stiff structure that is able to dissipate a large amount of energy during seismic activity. Today, eccentrically braced frames are found more commonly in countries such as New Zealand. Roeder played an important role in addressing the damage to steel buildings following the 1994 Northridge earthquake in the San Fernando Valley region of Los Angeles, Calif. In the aftermath of the earthquake, Roeder was involved in the SAC Steel Project, funded by the Federal Emergency Management Agency, where he oversaw a team of researchers who investigated the performance of connections between beams and columns. Under Roeder’s leadership, the researchers discovered that the connection damage was caused by faulty welding and by limitations in the bolted-web welded-flange connections used at the time. As a result, a wider range of beam-column connections are used for seismic design today and a stricter building code was adopted nationally that requires building connections to undergo pre-testing. Although his primary research focus was steel structures, Roeder also helped advance the design of bridge bearings, which support bridge decks. Working together with professor John Stanton, Roeder co-authored the American Association of State Highway and Transportation Officials Specifications for the design of bridge bearings. “Most of the current provisions for bridge bearings are based on research we conducted about 20 years ago,” Roeder said. At the time, bridge bearings were not well-studied by the engineering community. Roeder and Stanton proposed replacing expensive and troublesome bearing systems with elastomeric bearings, which they discovered work well for heavier loads and longer bridges. 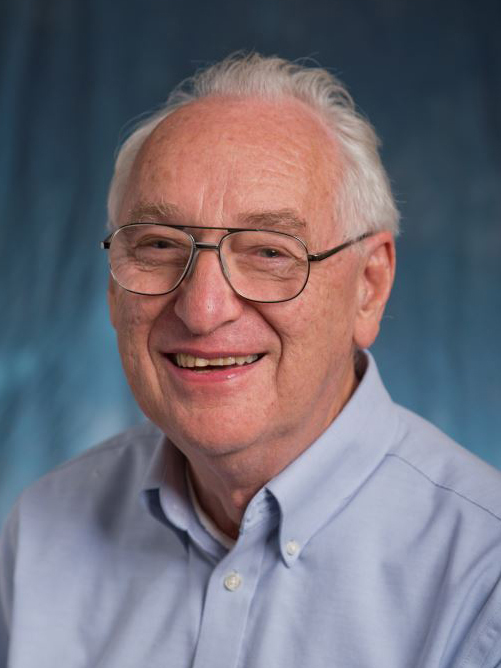 Throughout his career, Roeder conducted research that translated into practical solutions and guidelines for professional engineers working in the field. Highly regarded in the structural engineering community, he worked extensively on research projects with the American Institute of Steel Construction (AISC). Much of his research is incorporated in the AISC Seismic Provisions for Structural Steel Buildings. “Dr. Roeder is always concerned about how his work transfers to the engineering community,” said Tom Schlafly, director of research at AISC. Roeder’s ability to ask both “why” and “why not” led him to be an asset to industry, said AISC president Charlie Carter. “Better brace design, bracing connection design, Chevron beam design, system ductility, system performance and lower-cost solutions exist because of Charles' knack for knowing the right questions to ask,” Carter said. A local agency that Roeder developed a longstanding relationship with is the Washington State Department of Transportation (WSDOT) Bridge & Structures Office, where he participated in technical committees and provided feedback on design policies. His research was adopted into practice in WSDOT’s Bridge Design Manual as well as the American Association of State Highway Transportation Officials LRFD Bridge Design Specifications, used in the United States and abroad by bridge practitioners. “His work expanded our knowledge and led to significant improvements that contributed to our organization’s success,” said Bijan Khaleghi, WSDOT state bridge design engineer. Over the years, Roeder mentored many students. It wasn’t just part of his job; it was something he was passionate about. “I enjoyed working with graduate students more than anything,” Roeder said. When he recognized talented students, Roeder was often the first person to talk to them about considering graduate school. During alumnus Andrew Taylor’s (MSCE ‘85) senior years as an undergraduate student, he recalls Roeder approaching him after class, asking to speak with him in his office. “I was immediately concerned that I might be in trouble. Quite to the contrary, I found that Professor Roeder wanted to encourage me to apply for graduate studies in the CEE department. Up to that point, I had not considered pursuing a graduate degree,” said Taylor, who is now an associate with KPFF Consulting Engineers. Taylor was not only accepted into the master’s program, but was awarded a graduate fellowship from the American Institute of Steel Construction, which Roeder suggested he apply for. After Taylor finished the master’s program, Roeder encouraged him to earn a Ph.D., which Taylor completed at the University of Texas at Austin. Roeder has longstanding service to various professional organizations including AISC and American Society of Civil Engineers (ASCE), where he chaired national technical committees. He is a member of the Institutional Board of the Pacific Earthquake Engineering Research Center and the AISC TC7, TC9 and CPRP standards subcommittees. He is also an editor for the International Journal of Steel Structures and an editorial board member for Earthquake Engineering and Structural Dynamics and the Journal of Constructional Steel Research. Roeder was honored with numerous awards over the years. A few highlights include the ASCE 1979 J. James R. Croes Medal for his original work on eccentrically braced steel frames; 2002 Academic Engineer of the Year award from Puget Sound Engineers Council; AISC 2011 T. R. Higgins Lectureship, for which he traveled throughout the United States speaking about braced frame research; and an AISC 2014 Lifetime Achievement Award. During retirement, Roeder will continue working on a few research projects, including developing a new tsunami resistant structural building design. Outside of research, Roeder plans to travel with his wife and spend more time with his two grandchildren in California.